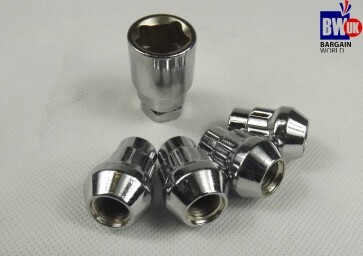 Here we have 4 x Steel Alloy Anti theft wheel lock nuts Measures 12mm x 1.5 Suitable for most cars - please check your wheels first. Highest Quality steel ensures your wheels are safe. Great chrome finish style, looks fantastic on any car.